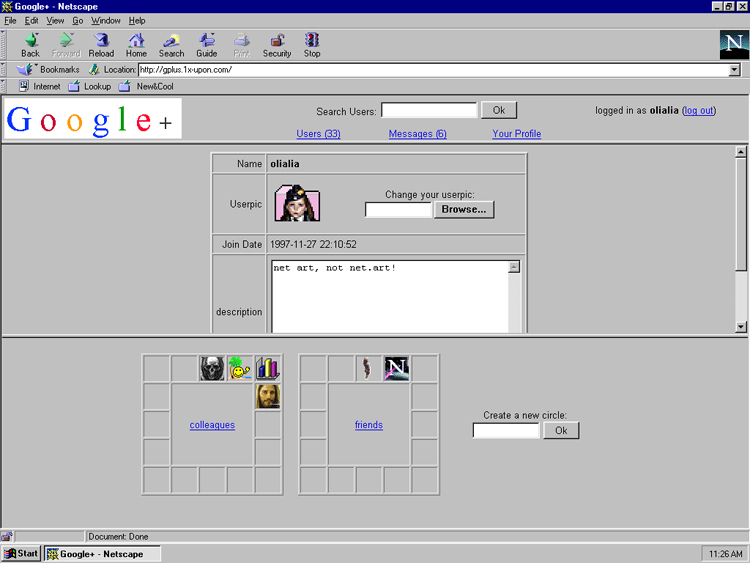 Once upon a time, connecting to the Internet was quite an exceptional and difficult task. Few were those fortunate enough to be able to do so from the comfort of their homes with their PC. It’s not been so long since then, let’s say just 14 years. Those of us who lived through this time know that this will seem like an ancient tale to today’s teenagers that communicate with their friends on Facebook, hooked to their mobile phones, but we’re not that old. They would look at us as though we belong in a museum if we told them that it was a time when we did our homework by looking up the information in those big heavy books their parents have, kept on a dusty shelf, encyclopedias (little in common with today’s Wikipedia). Social networks didn’t exist: in order to talk to your friends you had to meet up with them, or try to lengthen the house phone’s cord from the dining room till you found somewhere with a slight degree of intimacy where your parents couldn’t listen in on the conversation. When the Internet came along, you had to connect using a telephone modem that made dial-up a noise like an old walkie-talkie. The connection would often fail, but when it worked, the server speed was 8kb/s. The layout of the pages was in tables, with very few images. In short, another world. Olia Lialina and Dragan Espenschied, artists from net.art have recently created the project “Once Upon” where they have re-programmed Youtube, Facebook and Google+ as if they had existed in that other era. 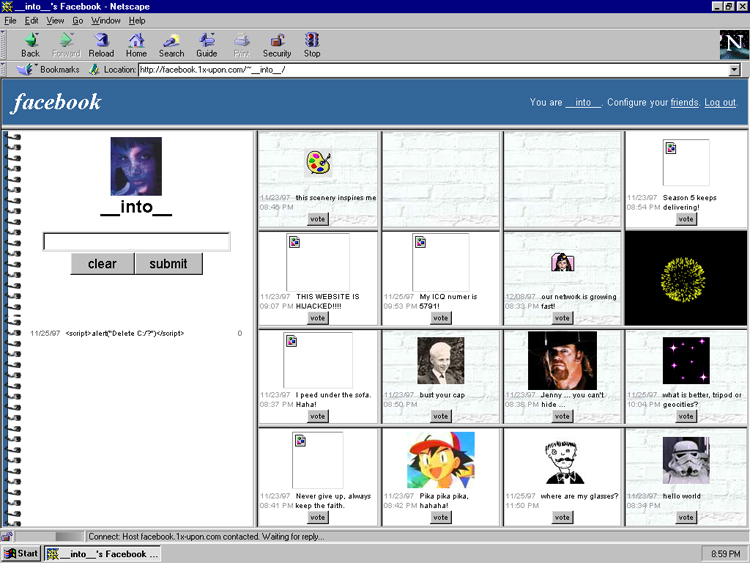 The same speed as back then the same aesthetic from 1997, as if it worked on the Netscape 4.03 browser and Windows 95. For those of us who remember those times with a tint of nostalgia, it’s unbelievable to see how they would have been and to remember the patience we used to have as we watch a video loading on this vintage Youtube. Though the adolescents of today may not understand, for us it’s quite an experience.